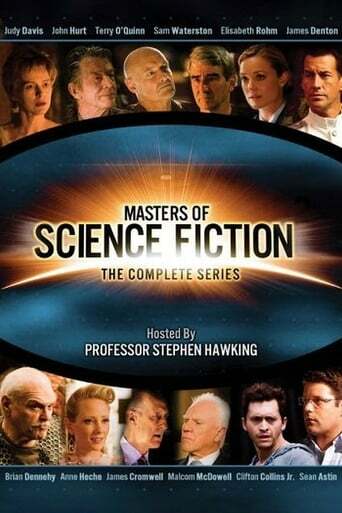 Masters of Science Fiction is an American television anthology series by the same creators as Masters of Horror. The show debuted on ABC on August 4, 2007 at 10PM for a run of four episodes. It was originally scheduled to run in six parts, but two episodes were removed from the schedule for undisclosed reasons. The show follows a similar format as Masters of Horror, with each hour long episode taking the form of a separate short film adaptation of a story by a respected member of the science fiction community, hence the Masters in the title. In December 2007, the show was picked up by Space in Canada. This then allowed the North American premiere of the missing two episodes. A Region 1 DVD of all six episodes was released on August 5, 2008. On February 12, 2012, the Science Channel began airing the episodes, under the title "Stephen Hawking's Sci-Fi Masters", beginning with the first domestic airing of the episode "Watchbirds". The show is hosted off-screen by physicist Stephen Hawking.